We are delighted to announce the partnership with Roon, the new music player software that transforms the experience of browsing music. 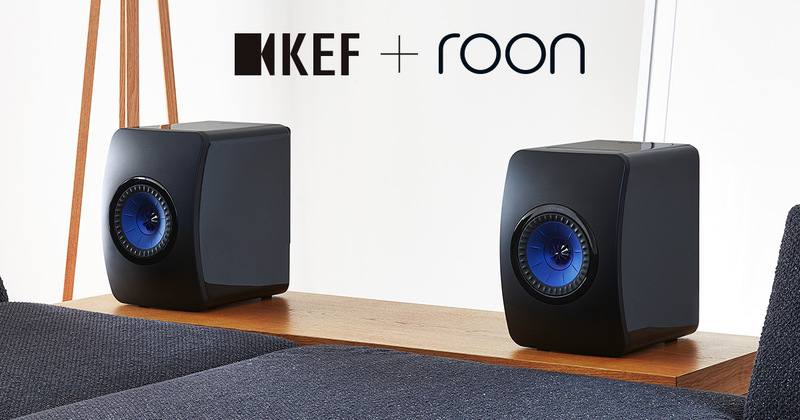 The combination of KEF’s excellent audio quality and Roon’s interactive audio platform will offer music lovers new and exciting ways of engaging with music. With the built-in support of Roon for KEF LS50 Wireless, Roon identifies each user’s personal music collection and simultaneously acts as a surfable, searchable digital magazine, providing in-depth information about that collection such as album descriptions and artwork, artist photos and bios, critical reviews, tour dates and lyrics. When coupled with an additional subscription to TIDAL, Roon finds links between the user’s personal files and the millions of tracks available from the streaming service, so that new music can be discovered from the world beyond their personal collection. The LS50 Wireless can play any Roon-supported format with gapless playback at the highest possible resolution. By connecting the KEF LS50 Wireless and Roon software in the same network, users will soon realise that this interactive way to experience music with excellent audio quality is the way forward.